50,000 new workspaces and homes and a denser urban environment than in the inner city. That’s the vision for the new Flemingsberg district, which will create greater balance in the region and allow more Stockholmers to live closer to work. One of Sweden’s largest development projects is about to be launched. The new district of Flemingsberg, or to give it its working name South Business District, will see Fabege as one of the lead operators alongside Huddinge municipality. The initiative will involve the development of a brand new district next to the Flemingsberg station area. As well as a new business and research hub close to the current university and research facilities, there will also be construction of homes, shops, entertainment experiences and restaurants in a mixed-used development that will revitalise the area both in the daytime and the evening. There are currently a number of similar districts north of Stockholm, but as yet none in the southern areas of the region. For many companies, a location south of the city offers significant advantages, such as better communications to and from business partners and customers in the southern counties and simpler train journeys to Gothenburg and Malmö. “We want to work alongside other companies to develop Flemingsberg from a regional centre into a dynamic international star,” says Klaus Hansen Vikström, Vice President at Fabege. One of the aims of the project is to provide more residents south of Stockholm with the opportunity to work closer to home. Many currently have to commute to central Stockholm or to similar business hubs such as Arenastaden and Kista north of the city, which creates an imbalance throughout the region. Shorter commutes boost quality of life and also have positive sustainability impacts. Fabege has previously been involved as a lead operator in a number of similar projects. The major difference is the location south of the city. The lack of similar establishments in the vicinity presents an opportunity, but also a challenge. 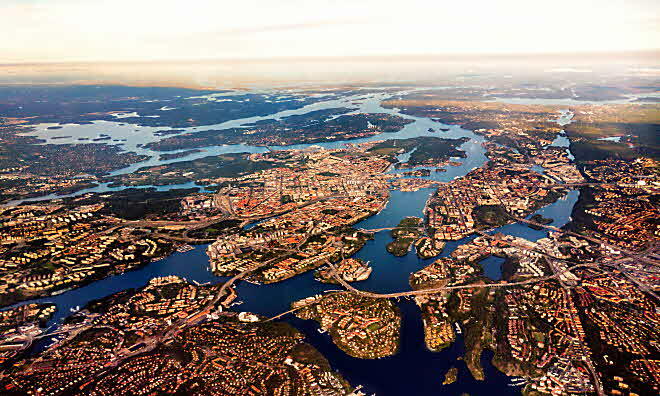 “We see significant benefits for Stockholmers from us creating 50,000 workspaces south of the city. A considerable number of people will have shorter commutes, and public transport flows will be significantly improved as there won’t be empty trains travelling in one direction. It’s a win-win for everyone and something that will genuinely benefit Stockholm over the long term,” says Klaus Hansen Vikström. The new district is due to be completed by 2030. Our new major project will soon be under way. Flemingsberg is to be transformed into a thriving district for employees, students, residents and visitors.